We’d love your help. Let us know what’s wrong with this preview of Love Like Sky by Leslie C. Youngblood. "Well that's the kind of love Daddy and Mama got for us, Peac "Love ain't like that." To ask other readers questions about Love Like Sky, please sign up. Mini Me review: One of my favorite books this year. It was a story about love and how a family sticks together to make it through hard times. In the opening scene of LOVE LIKE SKY, G-baby is entertaining her younger sister Peaches by repeatedly dancing the "Nae Nae" and the "Dougie." I defy anyone to read this and not smile. I believe that would be impossible. LOVE LIKE SKY is set in the town of Snellville, Georgia, where eleven-year-old G-baby, her younger sister Peaches (real names - Georgiana And Patrice) and their mother have moved to a new town after their mother's marriage to their new stepdaddy, Frank. G-baby had initially been In the opening scene of LOVE LIKE SKY, G-baby is entertaining her younger sister Peaches by repeatedly dancing the "Nae Nae" and the "Dougie." I defy anyone to read this and not smile. I believe that would be impossible. LOVE LIKE SKY is set in the town of Snellville, Georgia, where eleven-year-old G-baby, her younger sister Peaches (real names - Georgiana And Patrice) and their mother have moved to a new town after their mother's marriage to their new stepdaddy, Frank. G-baby had initially been excited about the marriage because it meant she would be gaining a big sister. However, she has since discovered that her new stepsister wants nothing to do with her or Peaches. On top of all the other changes, G-baby misses her best friend Nikki, whom she left behind in Atlanta. 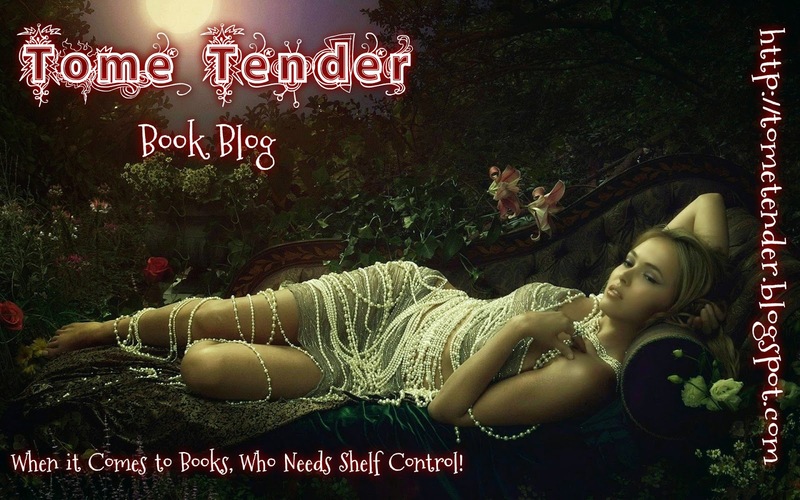 The author does an incredible job of making the characters feel real. For instance, G-baby's father has remarried and his new wife's name is Millicent. Instead of thinking of her by her given name, G-baby has nicknamed her "Millipede." This is a very typical tween way to rebel against the new spouse. She is too young to conjure up any truly mean-spirited nickname, yet still needs a way to express her jealousy at what she sees as the reason her beloved Daddy doesn't spend as much time with them as he used to. The author's gift for creating believable and unique characters is displayed in one of my favorite scenes - which captures the fierce loyalty six year old Peaches has for her mother. This scene takes place when G-baby comments about Tangie's cooking and says it is better than their mother's. "Peaches eyes widened. 'Nobody cooks better than Mama.'" I loved this scene. In the grand scheme of the book, this scene is minor, but it is so believable that I found it memorable for it's simple, yet powerful portrayal of familial loyalty. "Why we gotta jump when he's ready? What about the times we waited on him and he didn't come? I bet he doesn't keep Ms. Millicent Parker waiting for nothing. She's his 'best girl' now." "Just like Mama, he didn't know that I could tell a fake smile from a real one. Mama and Daddy's separation made me an expert, especially when we'd have family dinner and they'd wear their mannequin smiles." Love Like Sky is written perfectly for middle-school aged children. As the mother of both a 7 and a 9 year old, I’d be excited for my girls to read a story with flawed characters but boasts unbreakable bonds, love and resilience. I enjoyed this well-written work. "Love ain't like that Love Like Sky is written perfectly for middle-school aged children. As the mother of both a 7 and a 9 year old, I’d be excited for my girls to read a story with flawed characters but boasts unbreakable bonds, love and resilience. I enjoyed this well-written work. How is it then?" Peaches asked, turning on her stomach to face me. "Well that's the kind of love Daddy and Mama got for us, Peaches—love like sky." A charming tale told through the eyes of a young girl dealing with the divorce of her parents and their subsequent remarriages. In today’s society, so many families must learn to navigate the “blending” of two families, step-siblings and step-parents and rarely is a book written that truly seems to come from a child’s point of view. LOVE LIKE SKY by Leslie C. Youngblood is told through the Georgie’s eyes and heart as she tries to deal with a stepmother she doesn’t care for, a stepfather who goes out of his way to make her feel comfortable and the new big sister she always wanted. Things don’t always go as Georgie would like, as she feels the pain, insecurity and confusion of a complicated life she struggles to navigate without the faintest idea of how to do it. Will her kind heart show her the way? When a family crisis brings her precarious house of cards down, Georgie will learn the meaning of family, siblings and most of all, the power of love to build a firm foundation in life. Leslie C. Youngblood has given an honest and heartwarming tale life with her brilliant characters, events and the hurdles of growing up in ever-changing times! The perfect gift of reading for anyone, whether they are facing a blended family situation or not, this story will grab at the heartstrings of everyone. A must read for all readers, no matter their age! Ugh, what a cute and familial story! To start off with the negative, the writing was a little slow and hard to read but I could understand why it was like that. Plus, I had issues relating to the story as well. I didn’t really like the main character either, but she was a good one in some points. I think this is a fabulous and funky middle grade novel, especially for those with broken families or sick family members. It is definitely a book that could offer some advice or motivation. Love Lik @disneyhyperion #partner - I received a copy of this book from the publisher in exchange for an honest review. All opinions are my own. After G-Baby's mother remarries, she and her sister Peaches are uprooted from their home and friends when they move in with their new step-dad. G-Baby has trouble blending in to this new extended family and misses her former neighborhood and friends. When tragedy strikes her family, everyone pulls together and G-Baby realizes what's really important. I found this book to be rather slow-paced and the main character was a tad bit annoying but it also had a pertinent message about dealing with blend After G-Baby's mother remarries, she and her sister Peaches are uprooted from their home and friends when they move in with their new step-dad. G-Baby has trouble blending in to this new extended family and misses her former neighborhood and friends. When tragedy strikes her family, everyone pulls together and G-Baby realizes what's really important. Realistic story of sisterhood and blended family well-told. Engaging voice, interesting characters. Terrific, so poignant and lovely! I absolutely fell in love with the main character Georgie, as well as her sisters Peaches and Tangie- such wonderfully written characters. Love Like Sky felt very real. Leslie C. Youngblood’s middlegrade novel about a young girl navigating the tumultuous experiences that come alongside the divorce of one’s parents as well as their remarrying. G-baby, or Georgie, is working through the vast array of emotions as she deals with a stepsister who doesn’t seem to like her and a stepmother that she personally does not like herself. And when her younger sister, Peaches, suddenly comes down with an illness that lands her in the hospital, G- Love Like Sky felt very real. Leslie C. Youngblood’s middlegrade novel about a young girl navigating the tumultuous experiences that come alongside the divorce of one’s parents as well as their remarrying. G-baby, or Georgie, is working through the vast array of emotions as she deals with a stepsister who doesn’t seem to like her and a stepmother that she personally does not like herself. And when her younger sister, Peaches, suddenly comes down with an illness that lands her in the hospital, G-baby’s world implodes from the inside out. Meanwhile, G-baby’s best friend Nikki is having her own struggles, the kid in their class who was held back a year blends his world with Georgie’s, and stepsister Tangie has her own sad past and struggles. Where Love Like Sky does exceptionally well is its characters. They are all impressively developed, each with motivations and backstories that meld into individual plots for each one. You truly feel that you get to know these characters, even the ones who are only there for a short period of time. G-baby’s voice is masterful in its storytelling, bouncing from each character in order to tell the pieces of their story and blending them together in a skillful manner that manages to perfectly mirror the very blended family that its main character finds herself having recently joined. Each character goes through a great deal of development. Not only do they all navigate their own stresses throughout the story, but they each come to a sort of resolution that requires some sort of growth as well. The pacing of the story feels a little draggy at times, leading the reader to feel somewhat bored during certain portions of it. But overall Love Like Sky was a well written novel with distinct voices and characters. 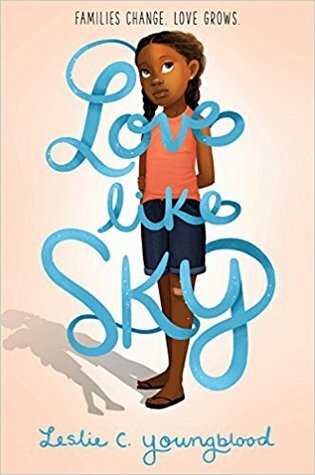 The characters are unique and relatable all at once and Love Like Sky addresses a multitude of issues that many young girls may experience at some point in their lives, even bringing to light some of the struggles that African Americans face every single day. I think this is a fantastic novel for those middlegrade is geared to and while I think it might need a little pick up during the somewhat dull portions, the fact of the matter is that Love Like Sky was a wonderful and eloquent novel that is on an entirely different level than most middlegrade novels I’ve read thus far. Plus it has a fantastic and beautiful title and cover. I had the opportunity to read a NetGalley digital ARC of this middle grade novel in exchange for a review. So many families experience stress when divorce occurs, and the original partners marry other people and bring different members together into what is called “blended families”. Children usually bear a large part of the burden when they have to adjust to two different households and build new relationships with stepsiblings. This realistic fiction story addresses that in a way that many mid I had the opportunity to read a NetGalley digital ARC of this middle grade novel in exchange for a review. So many families experience stress when divorce occurs, and the original partners marry other people and bring different members together into what is called “blended families”. Children usually bear a large part of the burden when they have to adjust to two different households and build new relationships with stepsiblings. This realistic fiction story addresses that in a way that many middle grade students will be able to relate to. Georgie reminds me of a lot of the fifth-grade students I used to teach. She is often in the middle of the drama of shifting friendships, peer pressure, and the beginning of interest in boys. But since her mother remarried and moved out to the suburbs of Atlanta, she is adjusting to a new neighborhood and a new, older stepsister that seems to dislike her intensely. But when suddenly her younger sister, Peaches, becomes critically ill, Georgie’s life is turned upside down. This book follows the whirlwind drama of Georgie trying to find a way to help her sister, help her best friend with a bullying situation, and get Tangie (the older stepsister) to like her. The author does an excellent job of telling the story from Georgie’s point of view, using the authentic voice of an adolescent girl that is impulsive, argumentative, and immature. Middle grade readers will definitely recognize themselves in these interactions. There are some great learning moments for Georgie, as she learns just what family is and different ways of loving others. This book would be terrific for those who enjoy reading stories about all kinds of families. “Love Like Sky” by Leslie C. Youngblood is a children’s (and young adult?) book that gives a glimpse into the challenges of dealing with broken families and forming new ties. Young Georgie (G-baby) and Patrice (Peaches) are as close as two sisters can be, but they’re adjusting to their new stepsister Tangie and stepfather Frank, not to mention their dad’s new wife Millicent (who they privately call Millipede). A tragedy threatens to snap the fragile ties the families are forming but may force th “Love Like Sky” by Leslie C. Youngblood is a children’s (and young adult?) book that gives a glimpse into the challenges of dealing with broken families and forming new ties. Young Georgie (G-baby) and Patrice (Peaches) are as close as two sisters can be, but they’re adjusting to their new stepsister Tangie and stepfather Frank, not to mention their dad’s new wife Millicent (who they privately call Millipede). A tragedy threatens to snap the fragile ties the families are forming but may force them to see each other in a new light. The allusions to overt and subtle bullying issues, peer pressure, and the undercurrents that children must navigate daily are vividly depicted, and I love the way revelations gradually alter the way one views various people, including one who has a hurtful nickname. I was invested enough in the story to cheer when a certain meanie got her comeuppance and although there is a “happy for now” ending, I was satisfied by the ending—even though I hope there is a sequel in the works. I think this book would be a great teaching tool for children of all ages…and a few adults as well! Thanks to the @KidLitExchange network for the free review copy of this book. All opinions are my own. Love Like Sky is a sweet middle grade novel about blended families, sisters, and growing up. Both of Georgie's parents have recently remarried and she's still trying to get used to all the changes. Along with new step-parents, she also has a new older step-sister who she desperately wants to be close with. The author dives into the complicated dynamics of newly blended families. This is a great Thanks to the @KidLitExchange network for the free review copy of this book. All opinions are my own. A beautiful books about blended families and love. The cover caught my eye at Barnes and Noble. I read it with my nine year old daughter. We both love it and will more books by this wonderful author. This is a sweet book that allows young readers to grapple with some of the bigger life issues kids experience in today's world, along with a very realistic look at the modern family. Thanks for sending an ARC my way for review, Disney Books! A sweet summer coming-of-age story—a little family drama, a little adventure, a little friendship struggle, and a little crush, all combining to make a lovely read. beautiful early #mglit book about family and choices. Love Like Sky is a story about sisters. About the responsibility of having to be 'the big sister' and what that can do for you when your world has changed irreparably and you have to be the strong one. When you just want to be a kid for a change. To not have to be a role model. To not have to be good at adapting and explaining to your younger sister. But at the same time, G-Baby yearns for a big sister of her own, a companion, a source of security in this vast un-tethered world of a new family. f Love Like Sky is a story about sisters. About the responsibility of having to be 'the big sister' and what that can do for you when your world has changed irreparably and you have to be the strong one. When you just want to be a kid for a change. To not have to be a role model. To not have to be good at adapting and explaining to your younger sister. But at the same time, G-Baby yearns for a big sister of her own, a companion, a source of security in this vast un-tethered world of a new family. NOTE: I received an eARC via NetGalley and the publisher in exchange for my honest review. The storyline and lovely cover drew me in to Love Like Sky, but unfortunately it didn't quite hold up. It is hard to write a brief, but accurate synopsis as this book has a lot going on in it, which is one of the reasons it fell short for me. G-Baby is trying to deal with her sick sister, a new stepsister who seems to hate her, a growing interest in a boy, a new blended family and relocation, her best frien NOTE: I received an eARC via NetGalley and the publisher in exchange for my honest review. The storyline and lovely cover drew me in to Love Like Sky, but unfortunately it didn't quite hold up. It is hard to write a brief, but accurate synopsis as this book has a lot going on in it, which is one of the reasons it fell short for me. G-Baby is trying to deal with her sick sister, a new stepsister who seems to hate her, a growing interest in a boy, a new blended family and relocation, her best friend being bullied... see what I mean? Within each of those storylines lots happens and the kids continuously make bad decisions that all tidily (unrealistically) work out. Overall, the novel is fine, but I'll likely pass on including it in my libraries. I was drawn to Love Like Sky after seeing some other book reviewers and teachers recommend it on social media. I was also drawn the simple, yet elegant cover. I began reading and was immediately drawn in by the overwhelming sense of love between the two sisters, G-Baby and Peaches. As I read, I found myself laughing and crying. I found myself identifying with this very accurate portrayal of I received this book from NetGalley in exchange for an honest review. >>Quick to fall in with the flow, voice, and finish in one sitting for adults and advanced readers. Middle graders will find it hard to put down and forget wanting to know what happens next with these relatable characters. >>Super adorable and sweet throughout. There's a lot of heavy stuff going on, but that's life. It's really about love, strength, and growing bonds between friends, and family, sticking together though thick and thin. >>Very emotional! Does come with a happy ending. >>There's a lot going on, but it stays grounded, vivid and clear. >>Brings nostalgia for adults and keeps it relevant for kids today. >>I will absolutely be reading any sequel that follows. I really hope their adventure in Bogalusa is next! "picked out everything in my favorite color--lilac, which is purple with milk in it." "When she returned, Mama was smiling brighter than neon fingernail polish." "It was like when I'd see someone who I used to know in first grade: we were not strangers but we had to become friends all over again." "Have fun. And don't let them streetlights catch you." "Mama told me that a best friend was a relative that you make for yourself. I though about that every time Nikki made me mad. I figured since I made her, I might as well keep her." "Now I knew why maybe Tangie didn't want to cheer anymore. Maybe she couldn't jump so high because there was the same sinking feeling in her stomach that I had that kept her feet on the ground." Georgiana (frequently called G-Baby or Georgie) is fairly comfortable with her blended family. They have moved out from the Atlanta metropolitan area to a smaller town, and Georgie gets along well with her stepfather. Her older step-sister, Tangie, is very interesting, but has little time for her new sibling. Georgie, however, is quite nice to her annoying younger sister, Peaches. When the girls return to the city to visit their father and his new wife Millicent (whom they call the Millipede), Peaches becomes very ill. Unfortunately, Georgie has run off to visit her friend Nikki and not told her father where she is going. Eventually, she is found and taken to the hospital, where she learns that Peaches has a case of encephalitis and will have a lengthy recuperation period. Even with her grandmother there to comfort her, Georgie wants desperately to go back home, where she connects for the first time with Tangie. Peaches recovers, and the family is stronger after their ordeal. Strengths: I was glad to see that all of the parents were still alive-- I think students more often have to deal with different sets of parents and siblings than with dead ones. This has a strong sense of place, with a little bit of dialect, but it's not overly strong. The problems faced with Peaches health scare are realistic, but it's the family dynamics (and the cover) that really sell this one. I'm hoping that this author will write another one about G-baby and her blended up family. This book is more than adequate for middle schoolers or any adult. I am adding this author to my long list of favorite people. I can relate to G baby in some of the things that were mentioned in this book. Like moving to a new state new school and making new friends and somewhere along the line wwith a step mother as well but this didn't happen to me until 1998 after I was old enough and my real mom passed a I'm hoping that this author will write another one about G-baby and her blended up family. I can relate to G baby in some of the things that were mentioned in this book. Like moving to a new state new school and making new friends and somewhere along the line wwith a step mother as well but this didn't happen to me until 1998 after I was old enough and my real mom passed away. While I can't relate to is the big sister thing because I was raised alone I still sympathize with G-baby. One thing I've never heard love being described as Love keeps going on like Sky. I love the phrase? Where was this when I was growing up or I was raising my son? To me God is live like Sky. He is awesome and helps us along the way. I sometimes keep forgetting to ask and trust. I also loved this because the author shows us that family is everything. We stick together through thick and thin lime glue no matter what. Love like Sky shows us that love will prevail no matter what. I missed this growing up by myself. Oh I had a few friends that would stick up for me but as I grew I learned to stick up for myself. G baby us my little heroine. She's strong loveable and at times can be funny. And most of all a huge blessing because she taught me a few things as well as reminded me of a few childhood memories. It's tough being a kid at times but I sometimes wish I could go back just to have my family around me again. I'm sole survivor of my immediate family. I strongly recommend having a box of tissues with you as you read this. I laughed and cried with G baby. G baby I look forward to meeting you again. I love you lots!!! I received a copy from my library. I wished I'd known this was on Netgalley but I still enjoyed it!! 4.5? For what it provides in a middle grade book with a range of well done black characters, this is one of strongest I’ve read yet. Yes yes yes to this book. Recently divorced parents, a newly blended family, a serious health scare, sustaining a positive best friendship, standing up to a bully... there’s so much for Georgie to navigate and she does her best sorting it all out with her best friends, little sister, and new step sister. Her older step sister’s character beautifully allows for intro 4.5? For what it provides in a middle grade book with a range of well done black characters, this is one of strongest I’ve read yet. Yes yes yes to this book. Recently divorced parents, a newly blended family, a serious health scare, sustaining a positive best friendship, standing up to a bully... there’s so much for Georgie to navigate and she does her best sorting it all out with her best friends, little sister, and new step sister. Her older step sister’s character beautifully allows for introduction to some more complicated conversations for younger humans reading this book (protests, the pain of seeing/hearing about black youth your own age being hurt, dealing with loss.. etc). In this way, this book may seem a little heavier than one might expect for middle grade, but it’s still perfectly (read this as EXACTLY) appropriate for middle grade. It tows this line beautifully and it has lightness and a youthful voice. This one should be an easy, perfect one for middle grade teachers to pass to their realistic fiction readers with confidence this year! It would also be a great class read aloud or book club book— especially if you’re looking for entrypoints in how to talk about kindness, friendship, BLM, or all the ways families can look and be:). There’s plenty of relationships to become invested in, as well as some suspenseful moments that will make you worry and not want to put the book down. This book also has the best cover I’ve seen in a long time— it’s just gorgeous. I know, I know, a cover isn’t everything, but middle grade teachers know that covers really matter when you’re handing a third grader a book you think they might like (especially a resistant reader!). I’ll say it again, yes yes yes to this book. This is an incredibly sweet family story. It reads young--probably 3rd-6th grade--but this tells the story of such a beautiful, joyful, imperfect family, that you can't help but have all the feelings right along with them. G-baby and her little sister Peaches are trying to figure out what life looks like now. Their parents have gotten divorced, and everything is shifting under them. They're living with their mother and her new husband now, along with a teenage stepsister (who wants nothing to do This is an incredibly sweet family story. It reads young--probably 3rd-6th grade--but this tells the story of such a beautiful, joyful, imperfect family, that you can't help but have all the feelings right along with them. G-baby and her little sister Peaches are trying to figure out what life looks like now. Their parents have gotten divorced, and everything is shifting under them. They're living with their mother and her new husband now, along with a teenage stepsister (who wants nothing to do with them). Their father has moved back into their old house with his new girlfriend. And G-baby is trying to figure out how and if she can stay friends with her crew from her old neighborhood now that she's living on the other side of town. The best part of this book is the passage referenced by the title. Peaches wants to know if there's enough love to go around in their new family, and G-baby tells her that their family's love is like the sky—whenever you look up, there it is going on with no end. This book doesn't sky away from difficult topics. This is a black family, and topics of racism and police brutality against black men are woven through the story in an age-appropriate way. There is illness, and grief over the death of loved ones. There is anger at the parents for making decisions that affect the kids. But it's all held in the hands of the love that this family has for each other. Very sweet family story. This is a young book and a simple story, but great. Disclaimer: I received this book for free from KidLitExchange and Disney Hyperion. Thanks! All opinions are my own. Synopsis: Disney-Hyperion has bought debut author Leslie C. Youngblood's middle-grade novel Love Like Sky, as well as a sequel. Love Like Sky follows Georgie as she tries to find her place in her “blended-up” family, with both her parents remarried and a new Disclaimer: I received this book for free from KidLitExchange and Disney Hyperion. Thanks! All opinions are my own. Synopsis: Disney-Hyperion has bought debut author Leslie C. Youngblood's middle-grade novel Love Like Sky, as well as a sequel. Love Like Sky follows Georgie as she tries to find her place in her “blended-up” family, with both her parents remarried and a new teenage stepsister she'll do anything to win over. When a devastating illness strikes her stepsister, Georgie will do whatever it takes to make her better and bring her family together. Publication of the first book is scheduled for fall 2018. While divorce and blended families are something of the norm in real life, in literature it’s still so obscure. I love how this book was so bold in making this the focal point of the novel. This will be sure to help kids who find themselves in similar situations. I also loved the character development and I thought the plot and writing was very well done as well. However I thought that it lulled in some parts and that the pacing wasn’t very fluid throughout the novel. This didn’t hamper the reading experience overall for me, but it was a little jarring. Verdict: Heart-wrenching book that will tear your soul out and stomp on it! Enjoy! in Bogalusa, Louisiana, and raised in Rochester, New York, her debut novel, Love Like Sky, will be published November 6, 2018, Disney Hyperion.